Witnesses told CNN that he used a short-barrelled shotgun, while others told local media that he carried a “smaller-calibre handgun with a light or laser attached to the bottom of it”. Another witness, Teylor Whittler, who was celebrating her 21th birthday said: “I was on the dance floor and I heard the gunshots, so I looked back and then all of a sudden everyone screamed: Get Down! Ventura County Sherriff Geoff Dean described the scene inside the bar as “horrific” and said there was “blood everywhere”. “It doesn’t matter how safe your community is, it doesn’t matter how low your crime rate is – there are people who just don’t think properly everywhere, I don’t care where you are, and they commit horrific acts like this,” he continued. 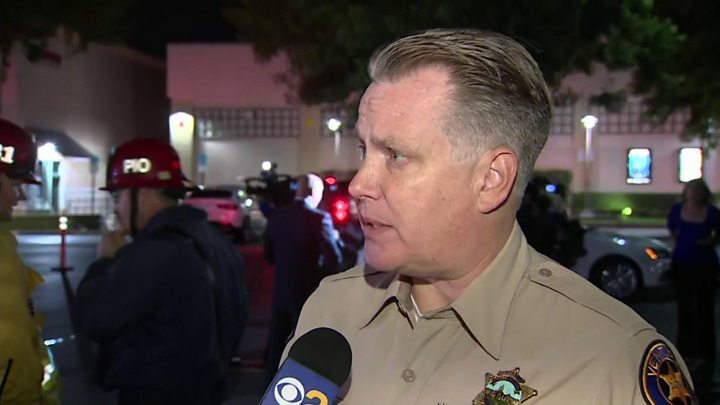 An unnamed law enforcement official who did not wish to be named told the LA Times that the shooter is a 29-year-old man who drove his mother’s car to the crime scene, and said nothing before opening fire.